For the past 3 years all of us Twins fans have been hearing the same thing. 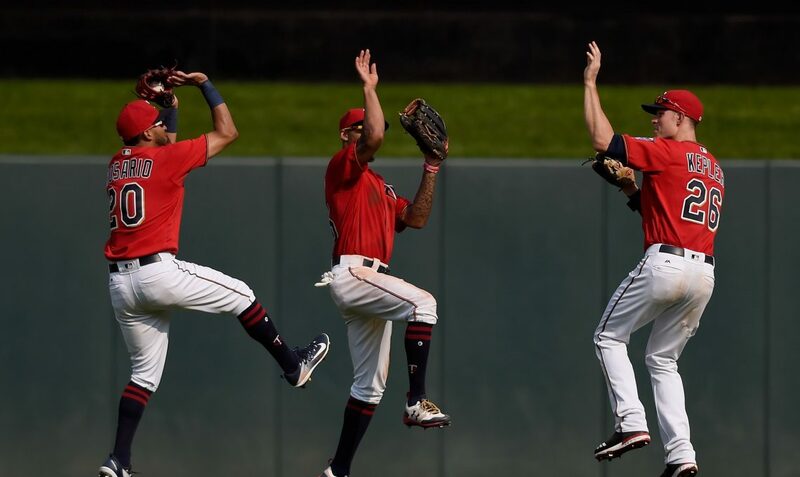 All the media, experts, coaches and even players have been saying “this is the year Byron Buxton finally breaks out!” We have heard since 2015-16. Well we’re hearing it again from all the Twins writers I follow and all the expert analysts telling us Buxton will finally live up to his potential. If he does he has a chance to be as good as MVP because he received votes for the award in 2017. We all know the glove and the insane speed are some of the best in the MLB, but the consistent injury and the underperforming bat keep him from staying in the majors for a full season. Can he finally do it this year? In the 2018 season, Buxton had his worst season by far which is really saying a lot considering he is a career .230 hitter. Last year he was well under that with a .156 AVG, a .383 OPS (career .672), 0 homers and only four RBIs. Perhaps the most surprising was his only 5 stolen bases after a year where he had 29. The year Buxton had in 2017 where he received MVP votes should be perceived as his floor, not his ceiling. The long time number one prospect in baseball had been compared and even thought to be better than Mike Trout. Obviously we have barely seen anything close to that but with him being only 25, there may still be time for him to become great. In the minors, Buxton was the number one prospect in baseball for good reason. He was usually hitting around .300, with an amazing season with 55 stolen bases, 77 RBIs and an OPS of .944. I think Buxton is never going to achieve those numbers, although it is certainly not too late. He just hasn’t shown he can really put up numbers even close to what many thought his potential would be. Right now, Buxton is projected for a .231 AVG along with 10 homers and 37 RBIs. Obviously his glove and speed should make up for some of the missing hitting stats but not even the platinum glove he could earn can fully fill in for the lack of hitting. One reason to be optimistic is coaching changes. The twins have replaced Paul Molitor with the young Rocco Baldelli and he is already known for being able to connect well with the younger players. He personally reached out to talk with Buxton much like he did with Sano. (Talked about on Monday article.) The hope is that Baldelli can connect with Buxton enough to overcome the grudge he should have over last September’s playing time debacle. Twins hitting coach James Rowson who is entering his second year with the team will have to do a better job in order to get Buxton rolling. He is a good hitting coach and the front office trusts him enough to keep him around for 2019. So will Buxton finally be that player we all want? Will he at least repeat 2017? That’s th Emory I really expect from him. He will be an elite defender who is faster than the flash himself, but he hasn’t put it all together at the plate until…..2019? Thank you for reading my 7th position outlook of 2019 and be sure to go read my other articles and check back everyday.If you enjoyed please leave a like and share with your friends. If you have any feedback or other opinions feel free to let me know.